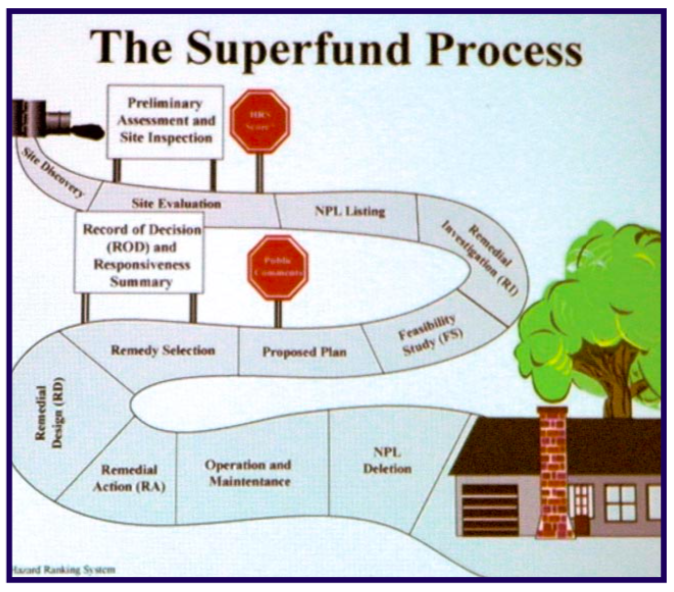 This Superfund Progress Chart (the Snake) shows that the remediation process has reached the RD or Remedial Design phase. HIGHLANDS – SJRC/THEA Executive Director Jackie Young announced Tuesday night, at the group’s regular monthly meeting, that the EPA has scheduled a public meeting on Tuesday, June 5th from 6:00 to 8:00 pm, at the Highlands Community Center, for the purpose of informing the public of the status of the Waste Pits Superfund site, and the Settlement Agreement, and to answer questions and hear comments. Young revealed that she had met with the EPA and others Tuesday, to get an update on EPA plans for the Waste Pits. The venue was an ad hoc group known as the Community Advisory Committee, which according to the EPA is supposed to meet regularly with a select local group interested in the Superfund Site. In fact, it has been several years since the group last met with its members. Invited to this meeting were EPA representatives, Harris County Pollution Control, HC Attorney’s Office, MIMC (McGinnes), Galveston Bay Foundation, THEA, Texas Department of State Health Services, and Pct. 2 HC Commissioner’s office. There were no public or media representatives invited. Young said that at the CAC meeting, she learned that a substantial stockpile of rocks or crushed concrete, 1000 tons, used to repair damage to the cap on the waste pits, has been stored offsite but within 14 miles of the location. Also she said that EPA announced that a key administrator, Albert Kelly, had resigned today. Kelly was the person that first visited the San Jacinto River site, and recommended to EPA Administrator Scott Pruitt that he visit the site and put it on the Priority list. No reason was given for his resignation, she said. Galena Park, TX. – On April 23, 2018, State Representative Ana Hernandez (D-Houston) hosted school board members and superintendents from school districts of Houston, Galena Park, Spring, Pasadena, and Goose Creek for a roundtable education policy discussion at the Galena Park ISD Administration Building. Also in attendance was Dr. Ray Freeman, Executive Director for the Equity Center, a non-profit that serves as the largest education-specific finance research and advocacy organization in the nation. 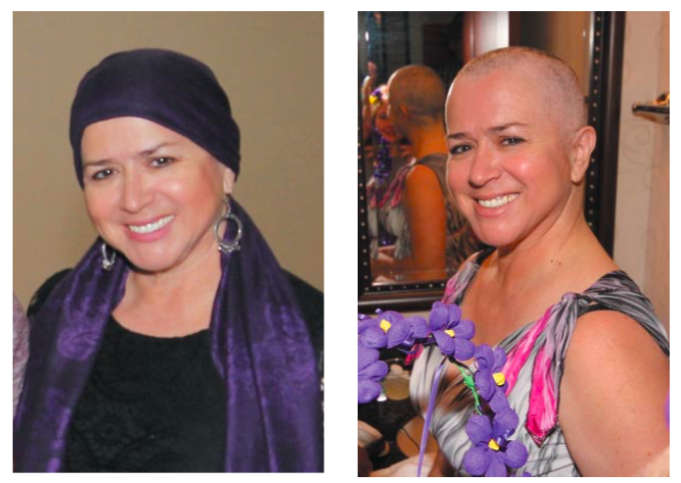 Left: Maria Rodriguez with her normal look. Right: Maria after a $130,000 haircut. At the Rotary District 5890 (Houston) Conference held in San Antonio last Saturday, April 28, 2018, one of the participants made a personal sacrifice to raise a large sum of money for Rotary’s major project, Polio Plus. The conference was called On the River, A Fiesta Of Service. During the Governors Banquet, Galena Park/Jacinto City Rotarian Maria Rodriguez took the initiative of “Service above Self” and asked one of the members if he would donate $10,000 to help rededicate the fight against Polio. If so, she would shave her hair. He took the challenge and so did others present and within 30 minutes she raised $130,000.00 for the Polio Plus Foundation. The BIG RIVERS WATERPARK, and the GATOR BAYOU ADVENTURE PARK are two of the seven activity areas that will open in June. ABOVE: The RV Resort and SpeedSportz Racing Park are now open. NEW CANEY – The new theme park is set to open two more sections, on June 29th. When all seven activity areas are open, the theme park will be comparable to Astroworld, according to publicity sources. 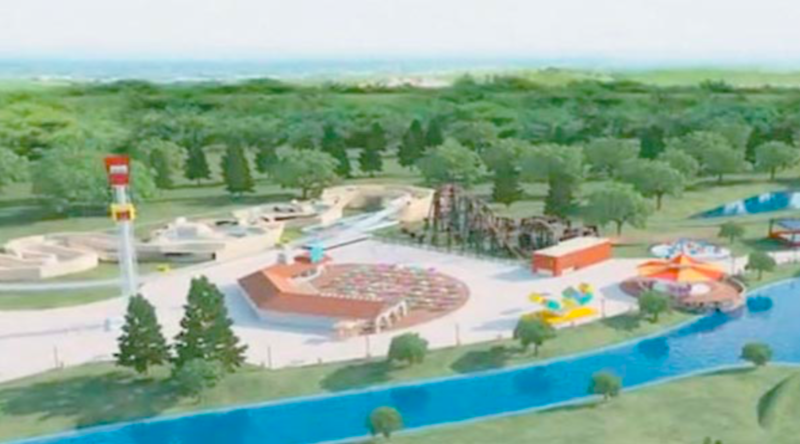 Big Rivers Waterpark, and Gator Bayou Adventure Park are the next two sections scheduled to open in June. Currently daily passes for future attendance are selling for $29.99, and an annual pass is available for $59.95. Tickets are on sale at bigriverswaterpark.com/admission/#prices, or at the RV resort. Big Rivers area will include a lazy river, a wave pool, waterslides, and a large interactive play structure. Gator Bayou will include Wild Isle, an Alligator Exhibit, and Big Al’s Fishing hole. It will also have zip lines, nature trails, a seven story free fall tower, pony rides, and a petting zoo. The theme park is located on 630 acres at US59 and Highway 292.